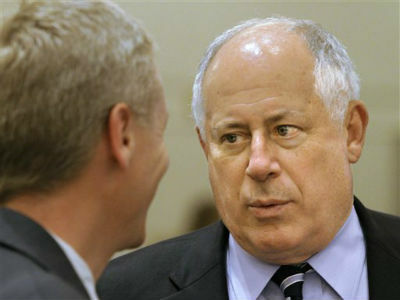 Quinn has proposed sharp cuts in both Medicaid and pensions for government workers to save billions in expenses the state can't afford to pay. In that, he for the most part has the support of the state's business community. CHAMPAIGN, Ill. (AP) — Illinois Gov. Pat Quinn built his career on populism and consumer advocacy. But, in the middle of what might be his defining political moment, he finds himself in an unlikely alliance with major Illinois business groups in a battle against unions and advocates for the poor.